There is a hidden gem tucked away on the Georgia Coast in Liberty County that offers a slower lifestyle perfect for retirees located in Midway, Georgia. Whether someone is looking for bass fishing on Midway‘s many bountiful lakes, saltwater fishing in the Medway River, sailing or boating to Georgia’s barrier islands such as St. Catherine, Blackbeard and Harris Neck Islands or just watching an evening sunset, Midway has all this to offer and more! Go to dinner at Sunbury Crab Company and on the weekends, enjoy their local band. With an aggressive price per square foot that is easy on any budget, and a low cost of living, the two combined offer retirees much to help in the later years of life. Annual real estate taxes roughly estimated to be approximately 1.5% of the sales price due yearly which is many, many thousands of dollars per year savings compared to northern States on the coast. 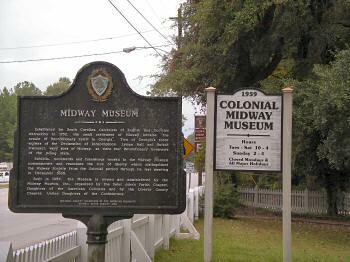 Midway, Georgia is located only thirty minutes from Savannah, Georgia, the low country and the Coastal Empire area, as well as two hours to Jacksonville, Florida and less than one hour to Brunswick and Darien, Georgia. Using Jacksonville airport or Savannah Hilton Head International Airport are both logistically a breeze compared to larger cities.